App Builder Appy Pie: Here we are in October already and if you have an ecommerce app, you are probably already gearing up for the holiday surge in sales! Black Friday Cyber Monday et al are significant milestones in the sales journey of any ecommerce business and your app can prove to be instrumental here. In this post we would be sharing some brilliant tips for ecommerce app and business owners to help them be better prepared for the holiday shopping and enthusiastic, demanding customers looking for great deals, discounts, but above all a stellar, memorable experience. Black Friday Cyber Monday has emerged as a time when shoppers tend to go wild, and the ecommerce businesses compete neck to neck in their efforts to grab the attention of the buyers. While it is easy with the right advertising and some great deal to catch the eye of a prospective customer, but what is tricky is to convert them, retain them, and make them want to come back to you for more! The infographic below is an indication of the kind of money that changes hands during the Black Friday Cyber Monday hullabaloo! This Holiday Season, the estimated figures for Black Friday alone take your breath away as it is predicted that Black Friday ecommerce would go up by 15.31% year-on-year to reach $5.80 billion in the U.S. and for mobile sales particularly it is expected to grow to $2.44 billion. Now, how’s that for motivation to amp up your Black Friday Cyber Monday readiness! Following are a set of tips that would help you increase your revenue manifold this Holiday Season and expand your customer base for the future! Do you know that most of the businesses begin preparing for the next Black Friday Cyber Monday as soon as the holiday season is over? This is actually not as crazy as it sounds because according to a recent report from National Retail Federation 40% of the shoppers begin their holiday shopping even before Halloween! So, what is it that you should include and plan for, in your Black Friday ecommerce strategy? Here are some interesting points that can help you bolster up yours! This is essentially where you would include a countdown to the D-day with great use of ads, emails, social network, and more. Plan some unique deals or special offers that would be launched before the D-Day even weeks before the actual Black Friday. Make sure that you offer some interesting sneak peeks or sort of teasers that would go live on Black Friday or in the weeks leading up to it. For a robust Black Friday promotional strategy, it is of critical importance to include all possible online channels include websites, emails, social, etc. even social media influencers or the micro-influences. 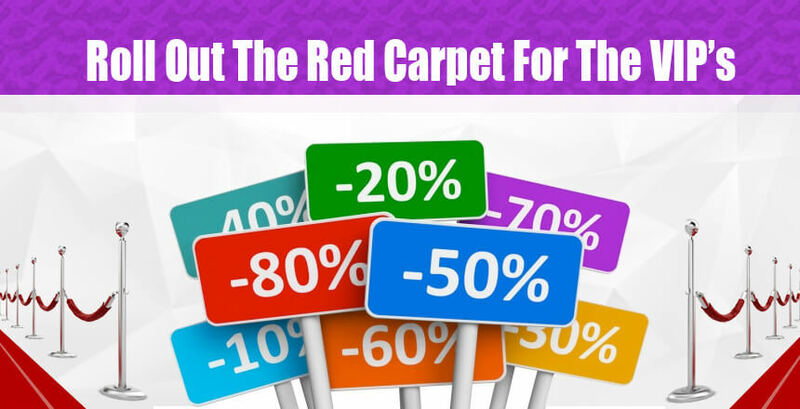 Doing so would not only maximize sales on the D-Day in addition to extended sale offers. 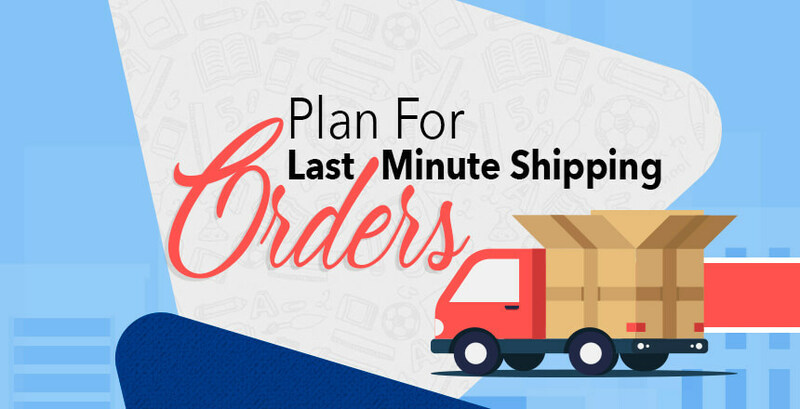 This is a great way to catch the attention of all the last-minute shoppers and you can emphasize the shipping dates and gift-wrapping services, and any such other services that you can help them with. Black Friday is the time of big sales and if you do not have the stocks or inventory to meet the surge, you would never be able to capitalize on the true potential of the event. In fact, it is better to be over-prepared for the holidays as opposed to being under-prepared. You don’t want to miss out on hundreds of sales that may come your way when you might have prematurely run out of stocks. Instead of having only the exact amount that you estimate that you would be able to sell, it is wise to aim for a little more than the estimations. This of course is only valid if you are selling products with longer shelf lives. This will in fact help you prepare your online store with just the right amount of inventory. In case you end up buying a little too much, you can always sell it later on with the right kind of strategy. When it comes to Black Friday Cyber Monday sales, it is the deal or the offer that is at the center stage, as it should be. You can’t possibly think that offering a piffle or a mildly interesting offer during the holidays is going to do something round breaking for you at this time. This is when most of the ecommerce businesses are offering ridiculously low prices and no one casts any shadow of doubt on their brand’s integrity. The offer that you are rolling out, must be irresistible, something that your customers just cannot ignore! The need to amp up your staff resources during the holidays is paramount. Now this is not just true for the physical walk-in stores, but even your ecommerce business apps! The traffic is going to be exponentially high in these days, which means that you are going to need additional customer support executives, dedicated developers for troubleshooting whatever comes their way, and ample number of sales executives who are ready to answer calls as needed. An increase in traffic would naturally need an increase in attention from your end. It is this attention that decides the kind of sales you would be finally able to register! For example, the Cyber Monday spending is actually jumping higher with each passing year (in U.S.). Word to the wise, it is better that you are over-staffed for these two days in order to pump up your sale, instead of being understaffed and lose potential sales. We have talked about launching offers that would make everyone want to buy at your ecommerce store, but when it comes to your VIP customers or the BIG spenders on your ecommerce app. This in fact can prove to be a brilliant strategy. When you send out efficiently and correctly segmented emails to the VIPs on your app, (which may constitute only about 3 to 5% of the entire list) it outperforms the rest of the customer list by a massive margin. In the recent few years Black Friday Cyber Monday have garnered a lot of attention and quite suitably so! The trend however is shifting now as a greater number of shoppers are resorting to online shopping sooner rather than actually wait for the earmarked weekend! You would be able to understand what I mean, when I tell you that in the month of November last year (2017), for 23 continuous days the sales figure crossed the $1 billion mark every single day! And, this was even before the actual Black Friday Cyber Monday. This emerging new trend has been christened as Black November. 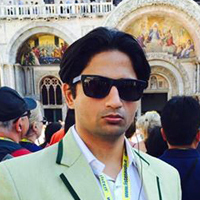 The idea is to lead up to the festive season with careful planning and strategy. This entire process must be directed towards creating a positive brand image and reinforcing it in every possible way, spread ample awareness about the products, services, or any other offerings. This would prepare you for the biggest online shopping festival there is! This is in fact a great time to invest some of your marketing budget into creating video ads. The shoppers who view your videos are about twice as likely to complete a purchase as compared to the shoppers who haven’t seen them. In the context of promotion video content of any kind, Facebook can actually be a great platform. This is particularly due to the fact that you can easily retarget people whether you want to upsell or are trying to save and convert an abandoned shopping cart. It is important to consider the power of some good old word of mouth. Word of mouth is actually the primary reason why people make 74% of their purchases. Some of the other techniques that have worked quite profitably in this direction is initiating a refer-a-friend campaign, leveraging the power of influencers across platforms to build a certain buzz around the deals you are offering. 7) Let Category Sales Start A Little Early! When you mark the calendar for the important dates in the holiday season, you should consider offering sales that are category specific. This has proven to work a lot better as compared to releasing a blanket discount on everything on your ecommerce app. Like we quoted earlier, in 2017 November, for 23 consecutive days there was an online sale record of more than $1 billion every single day! This means that the retailers would have to go and put their products on sale a lot earlier than the Black Friday Cyber Monday weekend. This only increases the stress and pressure of delivering the discounts they promised which their customers have been expecting from them. As more and more ecommerce businesses were being challenged with this conundrum, they were also actively looking for a solution. It was only last year (2017) that category-specific sales emerged as a full-fledged trend. 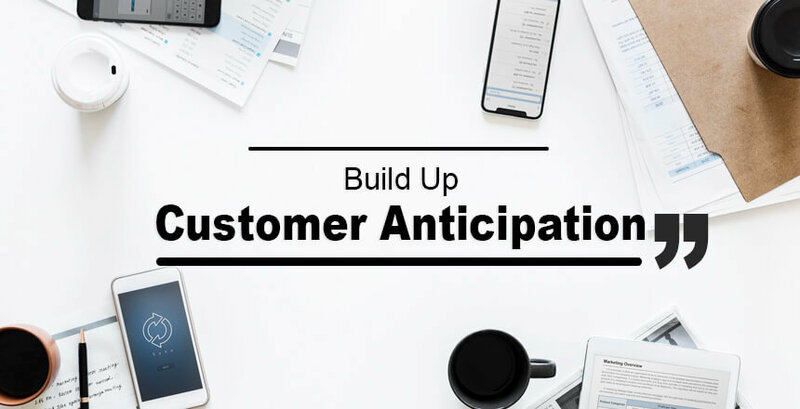 If you fail to amp up the performance of your app in anticipation of these stressful days, you may stand to lose millions in sales and even some of your prized loyal customers when they visit your app during the peak traffic times. 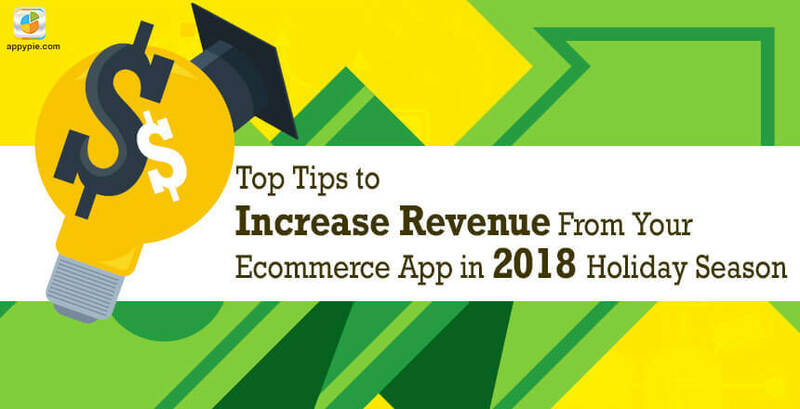 Let’s say your ecommerce app is working pretty well and in anticipation for the big holiday blowout that your customers and prospective customers are going to have, you bolster it up by investing on better servers. Now something as small as a page coming up and telling them to come back and try again later, or a delay in page load times can actually turn those customers away, on to a different competing app, who has similar product line, but a better app that can take the massive incoming traffic. Similarly, broken or low quality product images, troublesome checkout processes, or any broken links are not going to do you any good! It is of critical importance that you take every measure possible to reinforce the innerworkings and interface of your app, to give the app visitors a stellar, smooth, and seamless shopping experience. The holiday season is still a little while away, and now is a good time to prepare yourself and the entire staff for as many problems as might arise in the shopping frenzy. However, it is safe to assume that once the holiday season actually is here, new, more unpredictable problems would emerge as well. This is just the way that it works! It’s almost like Murphy’s law comes into play, the moment you think all systems are going well! Now when these unpredictable problems descend upon you, a flawless internal communication channel between different employees within your organization is of great importance. When you have seamless communication in place, no matter how many, how often, and how challenging the problems are that come your way, the process of solving them is quick and effective! This is especially of great importance when you are aiming to make some real sale during the Black Friday Cyber Monday madness, because they only last for a little while. Time is of special significance in this scenario hence, internal communication takes on a great deal more importance here. You can fortify your internal communication using some great workplace tools including Slack, Todoist, Google Handouts or any other such critical tools. Leveraging such tools would definitely help your entire team collaborate in a more efficient manner with each other and determine suitable solutions. The team members can quickly come together and solve any unpredictable problems that might emerge during the holidays. Having said that, it is important that you identify any obvious vulnerabilities in the existing system and workflow and work to solve them at the earliest, preferably before the arrival of Black Friday Cyber Monday. Here, I am devising a highly effective trouble-shooting technique that actually works – the 5 Whys method! As the name implies, your efforts of finding a problem that the business is facing can be brought to fruition by asking ‘Why?’ five times! With this technique you will gain the ability to convert a vague, seemingly random issue into a comprehendible problem, to which then you can find a solution with a rational problem solving process. How is this entire technique relevant to your efforts of simplifying internal communication? Consider this – a good percentage of the customer-facing troubles related to your business and company in fact start from the struggles in internal communication. When you put to use the 5 Whys method, you would most certainly discover that a good number of the issues that often emerge in your business can actually be solved when you put better internal communication channels and systems in place. So, eventually this would result in the streamlining of processes that might have been lagging behind, while preparing the entire ecosystem within your organization for all the problems that are inevitably going to surface during the holiday season. Now this is one of the most critical aspects, because if you do not get this one right, you would never be able to reach the full potential of your business. If you are aiming to forge an emotional connection with all your customers, old and new as the Black Friday Cyber Monday is approaching, then you would have to dedicate yourself to come up with inspiring imagery and positive word of mouth from your customers and their peers. You may even start building the buzz about your holiday sale event by putting up some interesting organic Instagram posts, which would attract and engage the followers of the brand. As you near the shopping frenzy days, you can then go ahead and offer a pre-Black Friday Cyber Monday promotional giveaway or a deal. Then finally as the days are almost there, maybe a couple of days ago, carefully create a big hype around your final sale extravaganza to honor the Black Friday Cyber Monday that it is. You can run some campaigns or giveaways on other social media channels as well and build some excitement including Facebook. By giving a teaser or a sneak peek, you can offer your followers a taste of all that is yet to come on the D-Day(s). Doing this organically might take a lot more effort and time, not to mention the dedicated efforts of your employees’ time. Now, you may, of course need to invest in some paid advertising, but the CPS would be through the roof, which means the importance of organic buzz build up is of course quite high. One of the most effective mediums of reaching out to prospective and existing customers is through email marketing. However, everyone under the sun are going to use this technique, which means you would have to stand out among the hundreds if not thousands of others who would be sending out emails. What you need to do is come up with an intelligently planned strategy that would determine the timing, content, and the target of your promotional emails. In doing so, give due importance to segmenting and targeting, because these are two most critical factors in increasing the amount of revenue you would be generating per recipient. 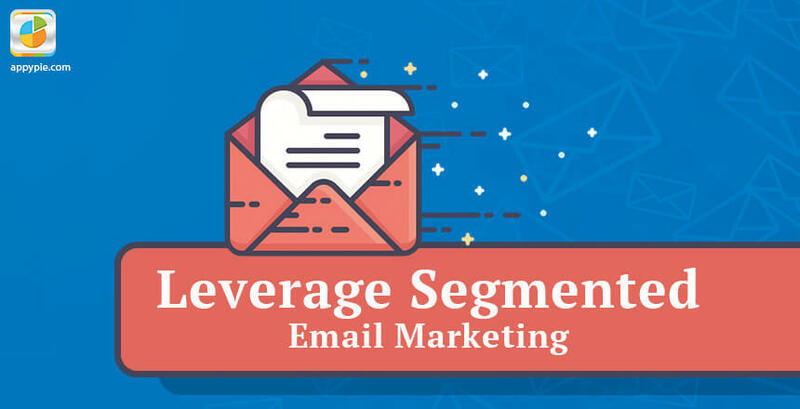 Another important thing to note here is that if you implement segmenting while sending out your marketing emails, you would witness significantly higher open rates and click-through rates. This actually reinforces your brand image while lending you a stronger sender reputation. This means, you have lesser ‘Unsubscribe’ incidents and fewer ‘Junk Mail’ categorizations. To make matters even more clear, Appy Pie has carved out 10 segments that you can use if you intend to increase the sales over the holidays, especially Black Friday Cyber Monday. For categories 6 through 10, the only thing that might help is plenty of lucrative incentives so that they complete their buying journey and make a purchase, or at least open the emails that you are sending out to them. Now each of the emails that you send out, would have varying content and message in it, based on their traits and interests. For someone who has not yet opened the mail you sent in the morning, you might follow it up with a tasty deal (mentioned right there in the subject line) which should be compelling enough for them to open it and avail the deal! This might be a heavy discount, free shipping option, or even a gift voucher, the idea is to grab their attention! The process of navigation within your app that you are designing for your app users should be as simple as possible. It has been proven through many case studies that when you improve the navigation design of your app, you definitely stand to increase your overall app visitor conversion. Now, if your app users are lost and have to reach out for carrying out simple actions within the app, chances are, they are going to navigate out of your app and look for better suited alternatives. 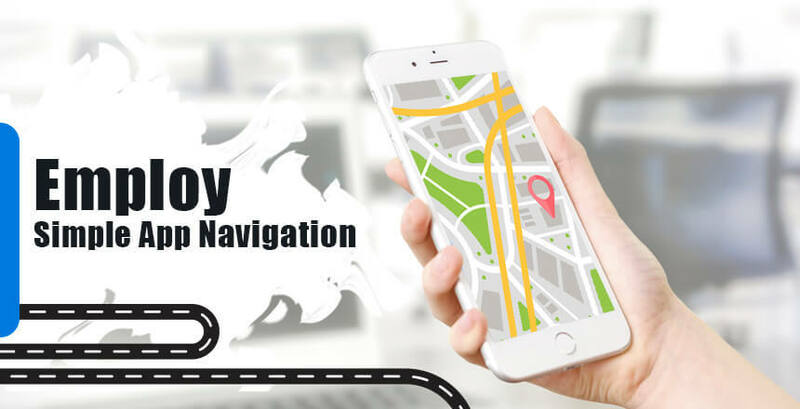 The in-app navigation must be designed to be intuitive and responsive so that, the app users can easily complete their buyer journey and are motivated to come back for repeat purchases. It is important that you test out the whole journey that your app users would be going through when they visit your app. The lesser the number of steps for checkout, higher the chances of people actually going ahead and making a purchase. The app users of this modern era are unforgiving of any delays and do not have patience for any kind of delays in loading or any other activity within the app. This is truly an age of instant gratification and every second matters, especially in an ecommerce app! Apps that load slower even by a second as compared to their competitors can stand to face massive revenue loss, because the customers today are used to a certain speed and efficiency and have little to no patience even if you have brilliant products and amazing deals to offer them. The customers would probably prefer an app with less extensive range of products but lesser page load times. According to a recent report from UIE, 40% of the ecommerce purchases can be attributed to impulse purchases. 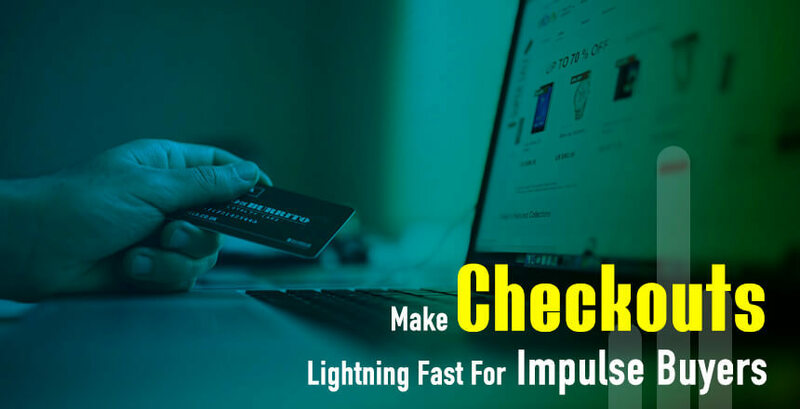 Since we are talking about impulse purchases, it is only logical that the checkout process be lightning fast, not allowing them any time to reconsider the purchase decision they just made on your app. The effort taken by the impulse buyers in checking out their purchases should not be too much! When your checkout process is simple and does not need the buyers to keep re-entering their information repetitively, you are essentially allowing them a certain freedom and ease which encourages them to complete their buying journey sooner. Imagine you walk into your regular coffee shop, like every morning, and the barista already knows what you are going to order. Not only is the experience a whole lot more personalized making you feel special instead of just another customer on the register, but also makes the process more convenient and faster. You can also add a dynamic checkout button which is definitely going to increase your mobile transactions. So once the app user selects a certain payment method, let your app remember it for any future transactions. According to a recent Mary Meeker Ecommerce Report, about half of the product searches begin on Amazon! In this holiday season if you are planning to exploit Amazon as a platform for boosting your sales, it is wiser to invest some money into it. 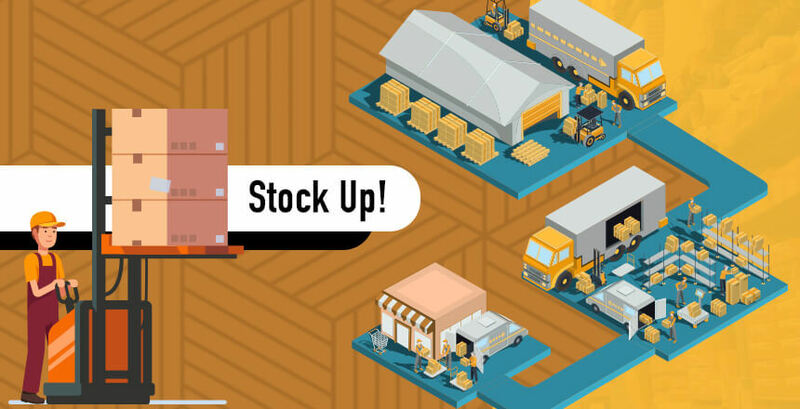 In addition to this, it is important that you offer, to your app users a smooth brand experience and dependable processes for order fulfillment for all the orders should be on the top of your list of priorities. Facebook is being used by small to medium sized businesses as an organic medium (sometimes paid) to promote their products and services. However, it was in 2015 that Facebook for the first time went beyond the run of the mill ads and let business owners create and run native shops. The first to follow were Pinterest who added a native functionality to their platform with the introduction of the concept of buyable pins. Equally quick to follow were bots and messenger integrations. Then last year, Instagram too hopped on the bandwagon by unveiling ‘Shopping on Instagram’. Those that seized this opportunity at the right time and expanded their points of sale, managed to expand their sales manifold. It is an interesting idea, which has taken off quite nicely where you can mimic or emulate offsite platforms using your own app storefront. 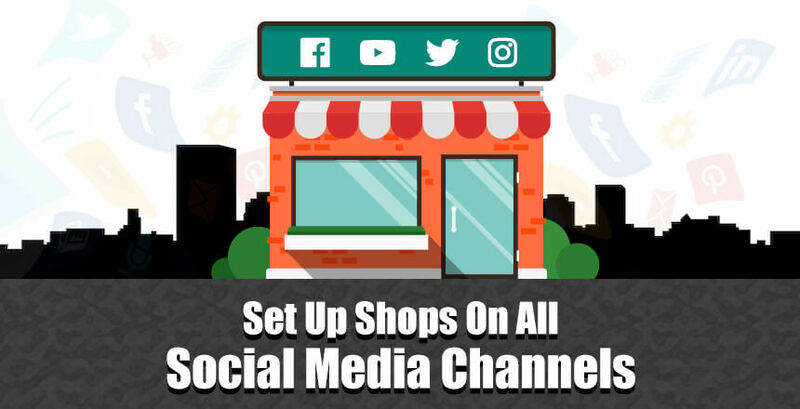 For example, you may decide to feature an Instagram shop at the bottom of your app page, so that your app users can quickly take a look at and explore your entire range of products, services, or any other offering. The app users would be able to scroll through your most recent posts on Instagram, look at more images and go through the pricing and then click on a single “Add to Cart” button. Running huge sales or events on an ecommerce portal can turn out to be quite a challenge, especially since it needs constant monitoring and troubleshooting. Black Friday Cyber Monday is bound to give you nightmares if you are an ecommerce business owner and you would have to have someone stay hands on with the system, to understand how things are going and verifying that everything is getting taken care of. 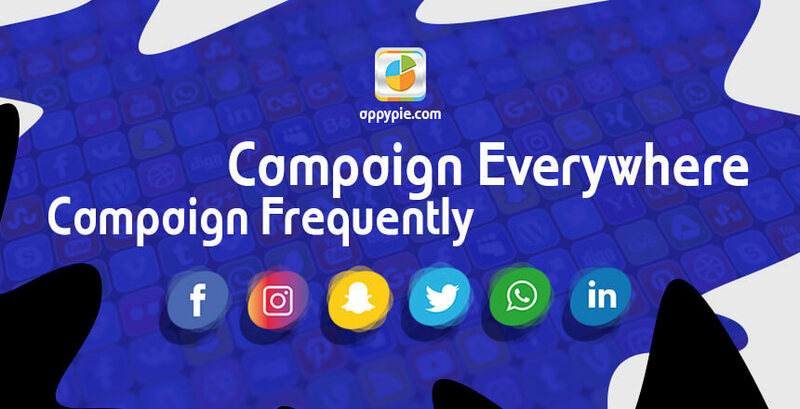 Having said that, it is absolutely important to run multiple campaigns on multiple channels and do it a lot more frequently. Instead of only doing one big sale or two, it actually would work a lot better if you were to run multiple campaigns on multiple channels and do it quite frequently, especially in the holiday season. One thing that actually works is taking a look at automation tools that would have the ability to monitor, alert, and respond to any issues that might come up while the sale is going on. Some of these tools are available for free and can be used specifically to plan, implement, and monitor events like sales, new product launch, restocking, inventory management, and changes or tweaks in the content. Not only would you and the employees be able to relax, but also the increased frequency of such campaigns in the holidays would definitely bring you a whole lot of revenue from these special offers, deals, discounts, and new product launches. Taking a leaf from the point above, we are going to talk about automation. Managing sales especially in the holiday season where everyone is looking for a deal can be quite challenging, particularly if everything was being done manually. Whether it is a customer facing process or a process at the back-office end, automation can bring in a semblance of order taking away the tedious job from your hand into the hands of an automated system. In fact, there are quite a few platforms that let you automate a big chunk of your job by storing and executing triggers, conditions, and any actions that you choose, without having to code. It is true that online sales on Black Friday Cyber Monday are witnessing a huge rise in sales, however, customers are still spending a whole lot of money in physical, brick and mortar stores – almost billions. Now, we know an ecommerce business owner who doesn’t have presence In Real Life (IRL) would have trouble establishing a physical presence. But there is an amazing solution for someone like that – a Pop-Up Shop. Pop-Up shops can be a great way to engage with the customers and sell to the customers in-person amidst the festivities and holiday season. The modern consumers have come to expect integration of several channels when it comes to buying products from an ecommerce brand. In this day and age, for you to have a chance of achieving your sales goals and surpassing them, it is important that you have an omnichannel presence as a brand, and a physical pop-up or traditional walk in store can help you achieve just that while fortifying your online presence as well. A pop-up store can also bring in some new customers. 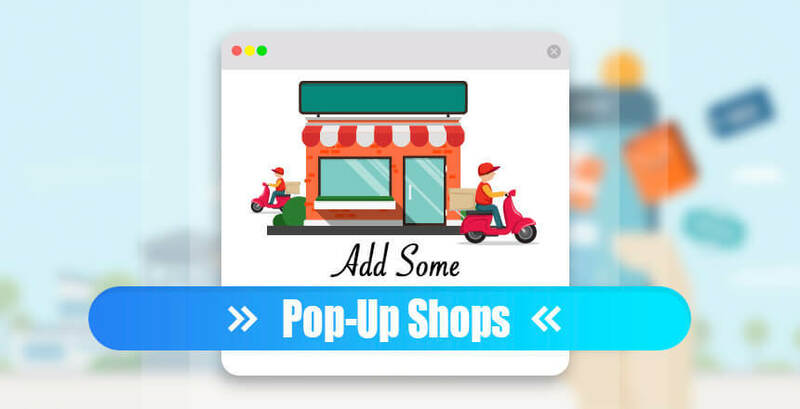 There would be a good number of customers walking up to your pop-up who have not ever heard of your brand but looking at your products in real life is going to motivate them to either make a purchase right there, or maybe download the app later! It can actually turn out to be an awesome customer acquisition channel for your ecommerce business. When your system can identify the device that is being used by the app user, you can then make it possible to dynamically adapt to reflect the total value of the products that the app user has in their cart in contrast to the products or the value they need to put in their cart in order to reach the free-shipping threshold. For example, if your first message on their screen was “FREE SHIPPING for a purchase of $75” and the app user then adds a product worth 40$ to their cart, the message should immediately change to something of the tune, “You’re only $30 away from FREE SHIPPING!” This has been proven to encourage the users to buy more stuff. According to the figures of Black Friday sales for 2016 (and for a particular merchant site), on an average, iOS users would spend $110 while Android users would be spending only about $85. Now, if you are able to identify the device and use device targeting in the right way, you can flash a notification for Android users and display a coupon with 20% off on purchases worth $100 while for iOS users this price threshold can be much higher. When the customers are at the checkout, you can make provisions for the customers to claim loyalty rewards directly from their cart with a single click. This has been known to grow your Average Order Values while flawlessly integrating with the natural user journey. When you implement a system that would instantly calculate and apply discounts in real time at checkout or within the shopping cart, the user experience is automatically enhanced several notches. To this, if you were to add the benefits of loyalty or a preview of loyalty membership benefits, you might even gain a few more valuable customers for the club. This yet again has proven to encourage a good percentage of the app users to make multiple purchases, after completion of the first purchase. 23. Abandoned Carts Must Be Converted No Matter What! Shopping Cart Abandonment is a huge challenge in the world of ecommerce, even more so in context of the online retail environment. 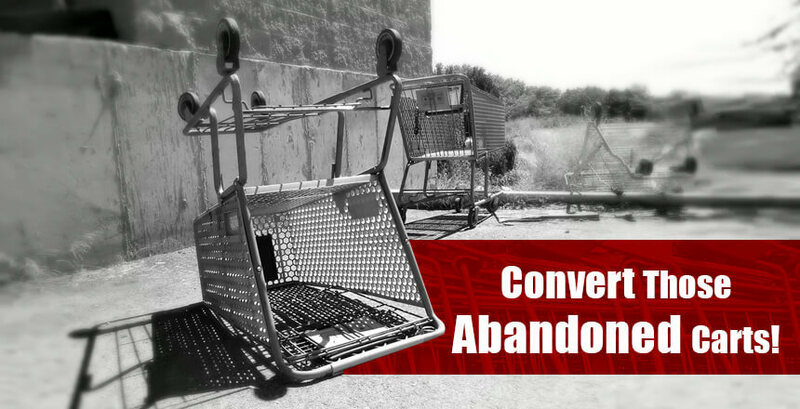 According to Statista the rate of shopping cart abandonment is as high as about 76% worldwide. One of the most popularly used techniques for retrieval and conversion of shopping carts that is favored by most of online retail business owners is email marketing. This is an era of social media and for the most populated consumer group – millennials, it is the multi-channel, cross device solutions that have assumed the highest importance. The most popular example to demonstrate this point would be the implementation of an integrated message bot which has the unique ability to transform questions into purchases in three big ways. First, it helps ecommerce retailers recover the much-dreaded abandoned shopping carts. Third, initiates more personalized conversations according to the onsite behavior of the app user. This means if one of your customers was in your online store but did not make a purchase, they would immediately get a message that offers them a discount. It is quite common among app users to wait till the last moment before they do their holiday shopping and when it is gifts they are buying, they are definitely looking for ecommerce portals who offer last minute shipping making sure that their gifts reach their loved ones. According to a Holiday Survey conducted by Dropoff, 77% of the consumers actually plan to do last-minute shopping in 2018. Now, this is actually a 15% rise, as compared to last year. This is precisely why the online retailers of this day need to have a robust last-minute shipping plan. This was a term coined back in 2007, by eBay. Green Monday is the Monday that is at least 10 days before Christmas. On this day or near this day, the holiday shoppers are actually in their element, shopping their hearts out which makes it an awesome day to fortify and fatten up the marketing efforts you have planned up. The ecommerce stores that participate in Free Shipping Day offer their buyers free shipping for their products and promise delivery by Christmas Eve. Keep these two events under consideration while planning for your Black Friday Cyber Monday strategies. Impulse buys are a fairly common phenomenon as the shoppers are experiencing a certain rush while going through Black Friday Cyber Monday deals that you have on offer. This only means that you would also see a good number of cancellations and requests for return. Once the Black Friday Cyber Monday hullabaloo is over, it is time you gave your customers reasons to come back to you looking for more and getting it! After all, New Year is just around the corner! We are listing out three techniques that really work! Black November is just around the corner and it is evident that the online sales figures are only going to go higher. As the ecommerce market expands and people take to mobile phones for shopping and convenience, there is a dramatic change in the consumer behavior. The future of retail is being shaped by automation, mCommerce, and personalization. It is time you prepare your online store for the upcoming Holiday Season. Get ready for the shopping frenzy and make sure that your app, your brand, and your entire organization is up for the times ahead!